As the battle for air supremacy continues, customers are making bets in the cloud, aligning priorities and locking down strategies. Market research suggests Amazon Web Services, or perhaps Microsoft Azure, as the obvious cloud companions, yet Google Cloud is emerging as a not-so-secret option number three. Now viewed as a viable - and credible - enterprise alternative to the dominant industry leaders, Google Cloud Platform (GCP) is playing the differentiation card to perfection. Flexibility, security and agility, not to mention intelligence, scalability and reach - all hallmarks of a platform quickly acquiring enterprise smarts. And as customers align to GCP, so to are partners, most recently in the form of Kasna. Founded in 2018, the Melbourne-based specialists operate as part of the Mantel Group, a business built on a house-of-brands strategy and started through DigIO - a digital development and delivery company - and Eliiza, leveraging expertise in artificial intelligence and machine learning. “We discovered that our customers were interested in Google Cloud services and our engineers wanted to use more of Google Cloud technology,” said Troy Bebee, CTO of Kasna. 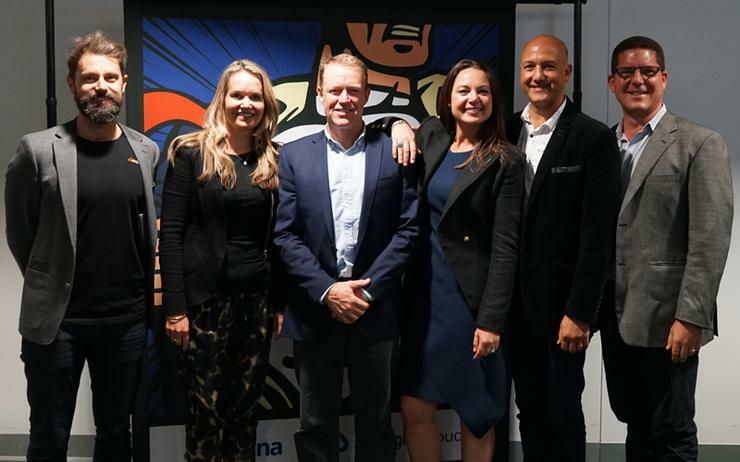 Speaking exclusively to ARN following a customer launch event, Bebee said Kasna - which operates as a Premier Partner - provides enablement solutions for a range of the vendor’s product portfolio, spanning Google Cloud, G-Suite, ChromeOS and Google Marketing Cloud. “We have a collection of accelerators which can kick-start our clients to make the most of Google Cloud technology with speed in creating value for their business,” Bebee added. “These solutions include a wide range of capabilities, from business and technology strategy, data engineering, network and security design, but also people and organisational change to maximise new ways of agile and collaborative working. From a customer perspective, the business targets a broad base, working with CEOs and CIOs of corporate and mid-market organisations pursuing digital transformation strategies. “Our lean delivery model and solution accelerators are designed and optimised for companies that want fast, efficient and effective change from their technology initiatives that add value to their business and to their customers,” Bebee said. According to Bebee, open source is the new “standardisation in technology”, with Google Cloud leveraging a “long history” of contributing to the space, chiefly through Android, AngularJS, ChromeOS and Go. Likewise, in a world in which data is now the new oil, the tech giant is operating at the beating heart of the market. “Most companies have data as a central part of their strategy - but in five years time most companies will be data companies,” Bebee explained. “We are very confident that Google Cloud will be the data and intelligence provider of choice for enterprises to transform into data-driven companies. Spanning cloud, analytics and machine learning, in addition to collaboration and productivity, Kasna is building out a services portfolio aligned to GCP, and the tech giant’s wider suite of solutions. “Google Cloud has the best networking and security model of the other providers - and because of this all of the higher-level products and services have solid foundation,” Bebee added. “Many of the other vendors have to retrofit their services to work-around the limitations in their security or networking model. In looking ahead, key priorities in 2019 centre around the continued development of offerings in the market, as the start-up expands brand awareness nationally. Specific to technology, plans are also in place to expand capabilities deep within Google Cloud specialisations, such as machine learning, application development and infrastructure. The channel shift comes as more local partners build out Google Cloud capabilities, in a bid to differentiate in a crowded and competitive marketplace. As reported by ARN, Google Cloud unveiled a fresh round of partner updates and enhancements in July 2018, following 12 months of growth through the channel. “The Kasna team are experienced technology professionals with a passion and commitment to open source and everything Google Cloud,” said Rhody Burton, head of partnerships across Australia and New Zealand (A/NZ) at Google Cloud.